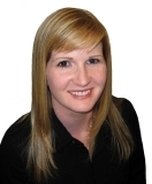 This article came from Royal LePage Canada and was published on May 20th, 2011. Bullish attitude toward recreational properties reflects recent strength of housing market, according to Royal LePage. TORONTO, May 20, 2011 – An overwhelming majority of Canadians who have either purchased or who intend to buy recreational property in the next 24 months believe that buying a vacation home is a good long-term investment, according to a nationwide survey of Canadian attitudes towards recreational property ownership commissioned by Royal LePage Real Estate Services and run on the Angus Reid Forum. Overall, the survey found that 89 per cent of current owners and prospective buyers agree that recreational properties are a good long-term investment. Broken down by region, this included 92 per cent of respondents from Alberta, 91 per cent of Ontarians, 87 per cent of BC residents and 81 per cent of people surveyed in Quebec. When respondents were asked to compare recreational properties to the stock market in terms of providing a larger financial return on investment, 50 per cent said recreational properties provided a larger return. Only 29 per cent replied investing in the stock market, while 21 per cent were undecided. Interestingly, a majority of respondents (57 per cent) said that the expectation of interest rates rising will not affect their desire to purchase a recreational property. Among this group, 55 per cent of respondents aged 35-54 (and 70 per cent of respondents aged 55+) said an expected rise in interest rates would not affect their desire to purchase a recreational property. When it came to financial and lifestyle sacrifices to purchase a recreational property, more than a third polled (35 per cent) responded that they were most likely to reduce personal spending throughout the year. The two least favoured strategies were to drive as far as necessary and to make the recreational property a primary residence, both 13 per cent. “Relentlessly wet and miserable weather has delayed the 2011 buying season in some regions of the country. But while weather delays intent, it doesn’t change it. The Royal LePage Recreational Property Report shows that the steadily improving economy has stoked consumer confidence which should impact demand positively. We expect to see considerable activity in the coming months – especially in higher-end and luxury segments,” added Soper. More than half (51 per cent) of those polled said they are, or will be, renting out their property to offset their mortgage and other associated costs. However, many of those willing to rent plan to be selective (32 per cent) and only rent their recreational property to someone who have been referred by someone they knew. The survey was commissioned as part of the 2011 Royal LePage Recreational Property Report, an annual market analysis of recreational property prices, trends and activity in selected leisure markets across the country. 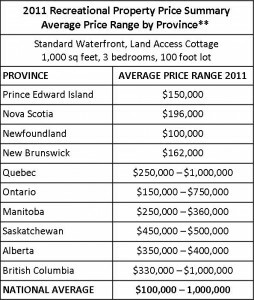 The chart below shows the typical price range for standard waterfront, land-access properties across Canada in 2011. 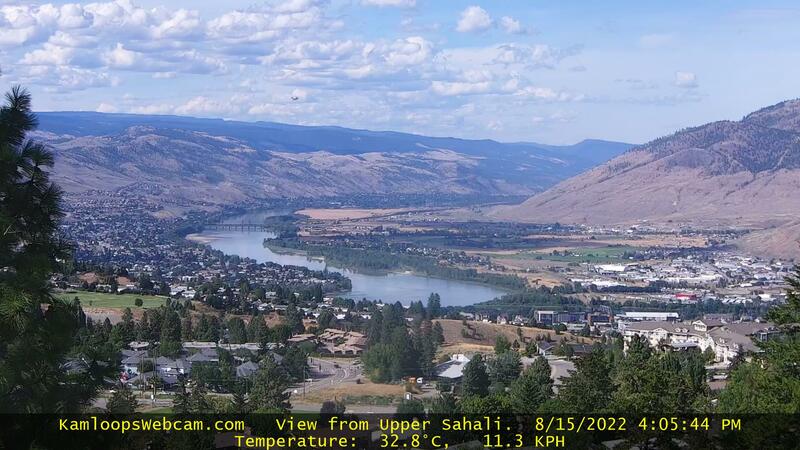 According to respondents from BC, the most important features of a recreational property are four-season use and quiet (tied at 43 per cent) and proximity to amenities and rental potential (tied at 31 per cent). Eighty-five per cent of respondents from BC either somewhat agree or strongly agree that a recreational property is a great way to bring family together (seven per cent below the national average of 92 per cent and lowest in the country).